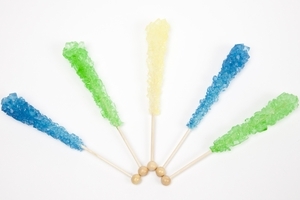 Sweeten your favorite beverages with a classic - Rock Candy. 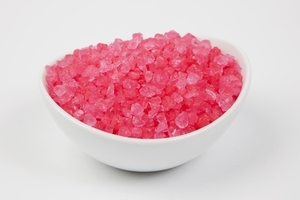 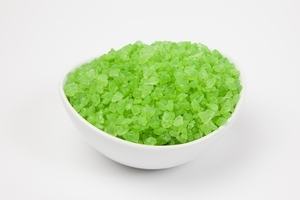 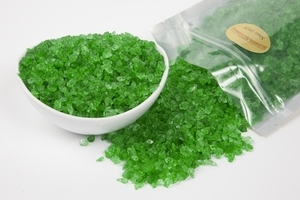 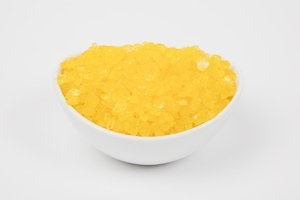 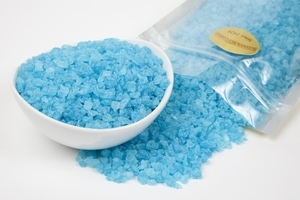 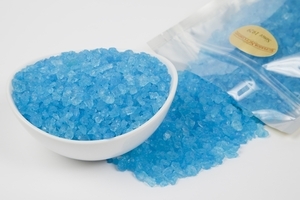 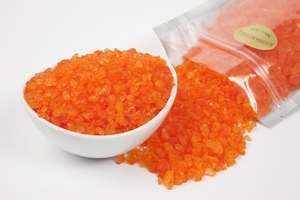 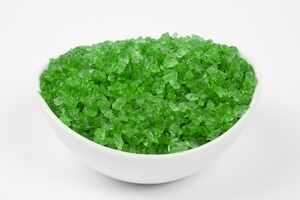 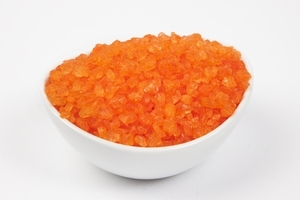 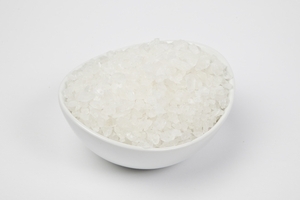 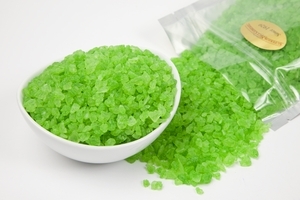 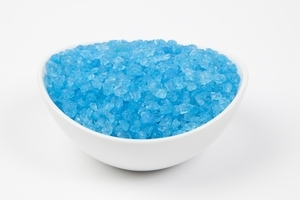 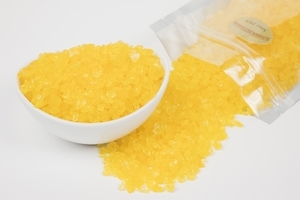 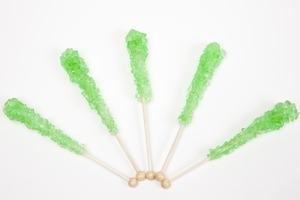 Impress your guests with these tasty and dazzling sugar crystals. 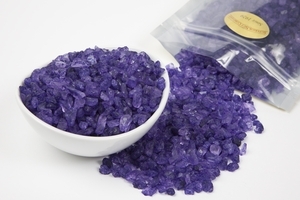 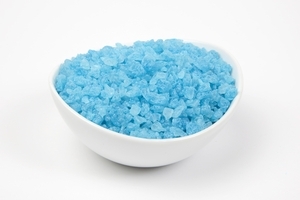 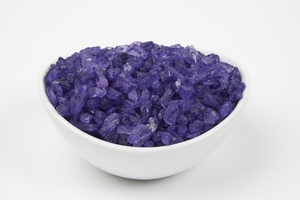 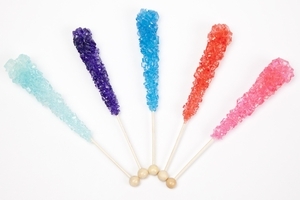 Colorful Rock Candy adds a delightful flourish to any tea or coffee service. 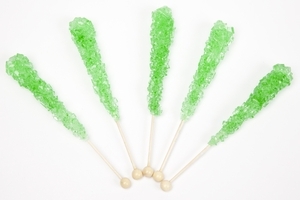 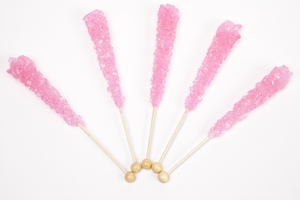 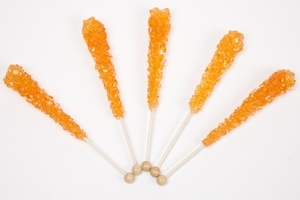 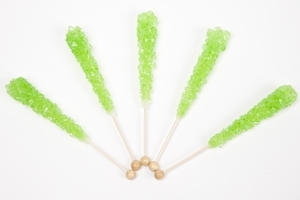 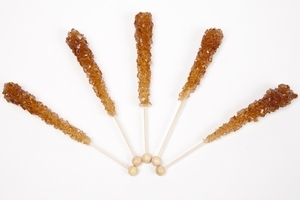 Swirl through hot tea and coffee, or slowly swizzle through lemonade; Rock Candy Sticks (also known as Sugar Swizzle Sticks) are still made from premium, pure cane sugar. 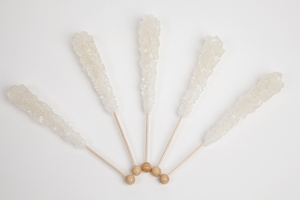 Beautiful, translucent crystals cling to a simple and versatile wooden stick, embellished with a round ball for easy gripping. 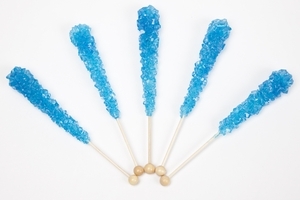 This distinctive and sugary confection comes in a tempting variety of sweet and sour flavors including blue raspberry, strawberry, orange, lime, bubble gum, cherry, grape, blueberry (sweet or sour), sour apple, sour pineapple, and cotton candy, to name just a few. 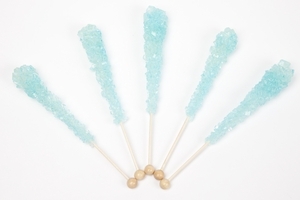 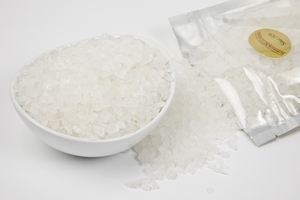 Order Bulk Rock Candy Sticks and you’ll always have plenty on hand. 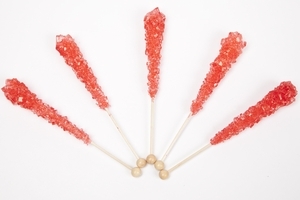 These Rock Candy Sticks come individually wrapped in a vast array of colors and bold flavors, alongside its signature crunchy texture. 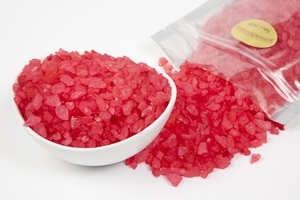 One of the world’s oldest candies ninth century Persian writers detailed the crystallization process and the making of this unique sweet treat. 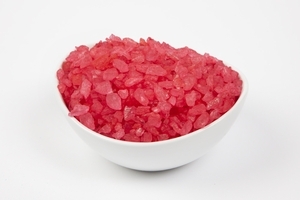 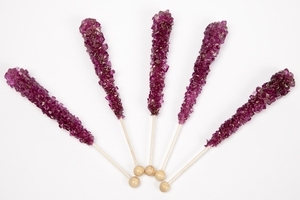 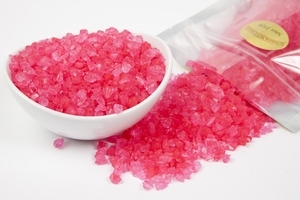 Rock Candy’s delicious flavors and lush sweetness was recounted by ancient Turkish poets, and even Shakespeare mentioned this ambrosial delight in one of his plays. 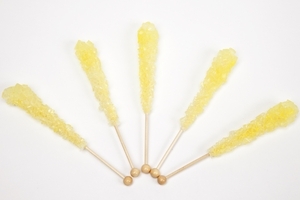 First considered to have therapeutic properties, by the 17th century Rock Candy Sticks took their rightful place as a simple and yummy confection. 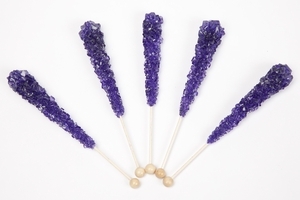 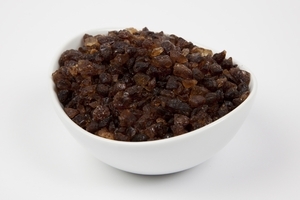 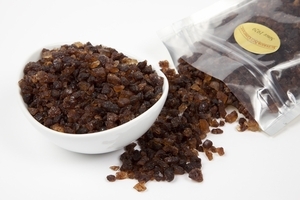 Add a luxurious touch to hot tea with a twirl of a Lemon Rock Candy Stick, or stir a little sweetness into your morning oatmeal with a Blueberry Rock Candy Stick. 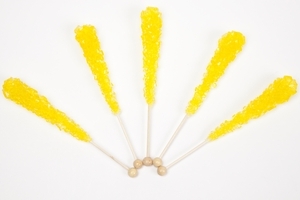 Each stick is individually wrapped, so grab one the next time you just want a light nibble. 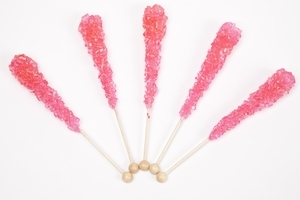 They’re even better than you remembered.